501 N New Brodheadsville Blvd. Approx. 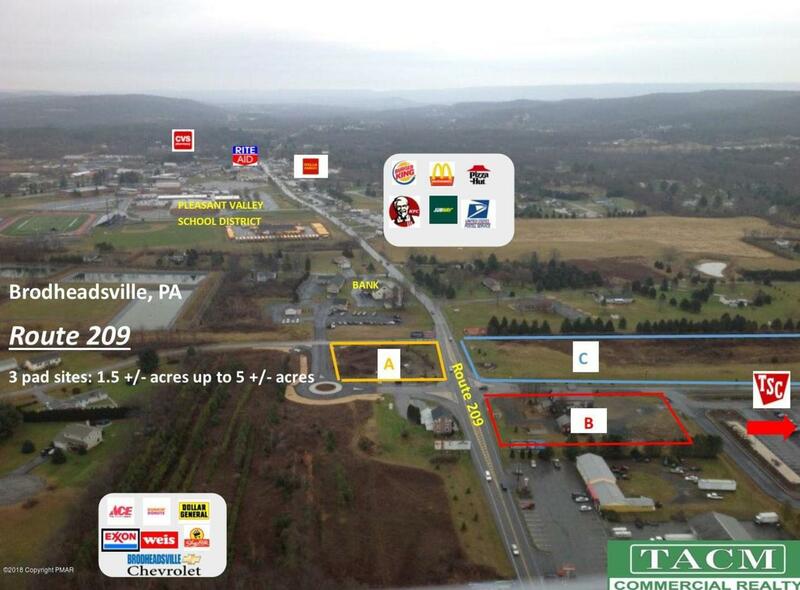 1 ac Commercial Development site for sale/lease, across from Tractor Supply Company project in Brodheadsville. Approved Rt 209 access and storm water piping in place. On-site utilities.